Bloody gang conflict has claimed tens of thousands of lives and sparked a years-long exodus from El Salvador, Honduras and Guatemala to the United States. SAN HILARIO, El Salvador — It’s as if two people live inside Carmen de Jesus Canuza’s lanky, 21-year-old frame. One is a hardened soldier who speaks matter-of-factly of death and poverty from behind a thousand-yard stare. The other is a wounded child who breaks into violent sobs that rattle her weathered layers of clothing before she catches her breath and regains her composure. “I am suffering. My heart is suffering,” she said in May, recalling the murder just weeks before of her husband, Ernesto de Jesus Arévalo. Described by his mother as the man of the house and her right hand, Arévalo was gunned down near the fishing docks. His killers could have belonged to MS-13, an American-born street gang whose top brass in El Salvador include immigrants thrown out of the United States. Or they might have been members of Barrio 18 — the 18th Street Gang — the other faction in a war that has brought this part of Central America to its knees. Canuza’s torment is familiar in this impoverished and violent country, where bloody gang conflict has claimed tens of thousands of lives and sparked a years-long exodus. Mothers and their children, gang members escaping imprisonment or death and children as young as six or seven have fled, making their way to Texas’ Rio Grande Valley in search of safety and asylum in the United States. The current “war” — a term people here use liberally — takes place in a country where memories of an earlier 12-year civil struggle still cut deeply. Some say El Salvador's turmoil today exceeds the anxiety between 1980 and 1992, when more than 75,000 people died and thousands more disappeared during that conflict between a U.S.-backed, right-wing military and left-wing rebels. Outside of Central America, MS-13 is the better-known of the two warring gangs. Its roots can be traced to California during the 1980s, when imprisoned Central American immigrants coalesced to protect themselves from rival Hispanic prison gangs. When former President Bill Clinton’s administration aggressively deported criminal immigrants in the 1990s, thousands of the Salvadorans were sent home, where the government was unprepared for the level of organization MS-13 had reached or the violence it was willing to employ. Though the gang's leadership and new recruits are concentrated in El Salvador, MS-13 now has reach throughout the Americas. It has evolved beyond a collection of knife- and gun-wielding gang bangers to a more sophisticated organization sustaining itself through drug and human trafficking and extortion. 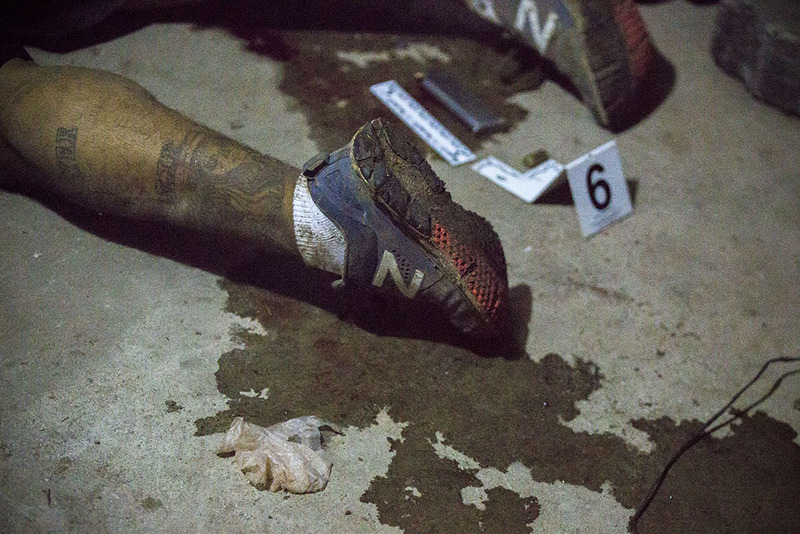 It is also known for its savagery: A forensics expert in San Salvador recalled the body of one gang war victim that arrived at the morgue with about 200 knife wounds. Considered less organized and not as well known, MS-13's main rival is the 18th Street gang. Also with California origins, it too trades in smuggling and murder and is considered equally responsible for the brutality that has driven thousands out of Central America. 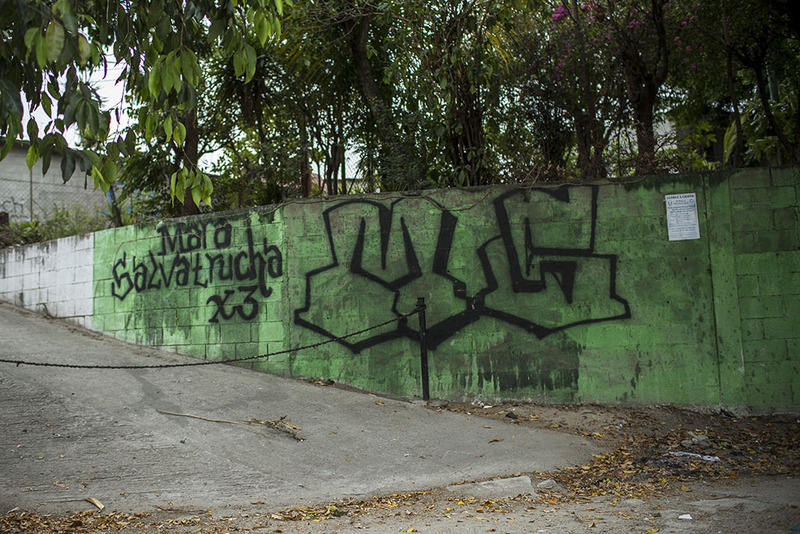 The gang conflict has driven El Salvador's homicide rate to 103 per 100,000, InSight Crime reported in January. Amaya had been trying to reach the United States when she was was arrested in Veracruz, Mexico, for being in that country illegally. Sent back to El Salvador, she was biding her time and planning to try for a fourth time to get to the United States. Though the odds are against her, she’s inspired by knowing tens of thousands of her countrymen have made it. From October 2013 to August 2016, 165,350 Salvadorans have been apprehended on the Texas-Mexico border (not including the El Paso sector of the U.S. Border Patrol), according to statistics provided to the Tribune by U.S. Customs and Border Protection. About 90 percent came through the Rio Grande Valley. The flow follows a trend that started in earnest in 2014, when more non-Mexicans than Mexicans were apprehended at the border for the first time in U.S. history. Despite the exodus, some are reluctant to compare the current gang warfare to El Salvador's civil war that began in earnest with the assassination of El Salvadoran Archbishop Oscar Romero and prompted the Farabundo Marti National Liberation Front, or the FMLN, a left-wing coalition backed by the world’s communist regimes to wage full-scale war against the U.S.-trained government soldiers. Just minutes after Cotto pushed back on the label, his interview with foreign journalists was interrupted by the buzz of his personal cell phone. A call advised that a faction of his officers had just shot and killed four alleged gang members. Cotto, a former high-ranking rebel and anti-aircraft missile expert, asked the caller few but specific questions: When? Where? How many dead? Any of ours? Later, Cotto joked when asked for directions to the crime scene. “Well we don’t want you to die,” he said, chuckling. He added that if that day’s opportunity were missed, there would almost certainly be another deadly shooting the following day. Others are more candid about the comparisons. When asked about the current migration by the country’s youth to escape violence, Gustavo Villatoro, a former assistant attorney general, said he lived through the same experience during the earlier civil conflict. There is an added element of mistrust that’s attached itself to the overarching fear permeating the country. At an elementary school where El Salvadoran officials touted a community program called G.R.E.A.T., (Gang Resistance Education And Training), which is partially funded by a U.S. aid package, one officer conceded his ranks have been infiltrated by criminal elements. Some analysts conclude the modern-day violence is not just reminiscent of the civil war, but directly related to it. “Given El Salvador’s long history of social repression, this culture of violence clearly developed over many decades. But the country’s intense and protracted civil war aggravated it in important ways,” Sonja Wolf, a Central American policy analyst wrote in Maras: Gang Violence and Security in Central America, published by the University of Texas Press. Wolf added that post-war policies aimed at appeasing the former fighters were poorly constructed and only fed the current crime wave. 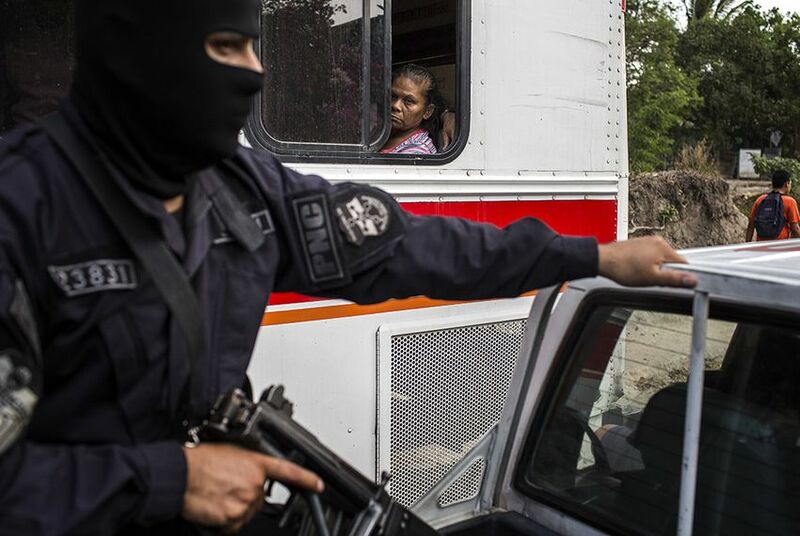 As they did during the civil war, some El Salvadorans still hold a deep-seated mistrust of law enforcement. There is also a debate surrounding how much the United States shares blame for El Salvador’s current situation. Not only does the American government deport gang members back to El Salvador, but it also sends back youths fleeing the violence. Advocates say that leaves deported asylum seekers no choice but to succumb to the criminals and reluctantly join their ranks. Cotto, the former rebel fighter who fought the U.S.-supported right-wing militants during the civil war, now runs a police force that receives training and equipment from the U.S. Department of State. And like the allegations that El Salvador’s government fighters committed extra judicial killings during its civil war, Cotto’s PNC has also been accused of skirting laws to enforce its policies. According to a 2014 U.S. Department of State report on human rights in El Salvador, 18 PNC officers were charged with homicide; 14 of those were allegedly committed while the officers were on duty. In his office, not too far from a Denny’s and Quizno’s, Cotto was reluctant to point the finger. “I don’t think the solution to these problems is to place blame anywhere,” he said. “What’s more important than that is to get busy [solving the problem]." For others like Saul Quijada, the director of El Salvador’s morgue, the similarities are too obvious to avoid making a comparison.